I cannot resist a good cheesy nacho. In my quest to find things to eat at restaurants I tend to lean towards nacho's because the chips are made of corn, the cheese and meat are gluten free and it's a meal that my kids will usually help me eat. I have a hard time eating a full meal the older I get. To be honest I am not quite sure why that is. I noticed with my Mom that she also found her appetite decreasing the older she became. 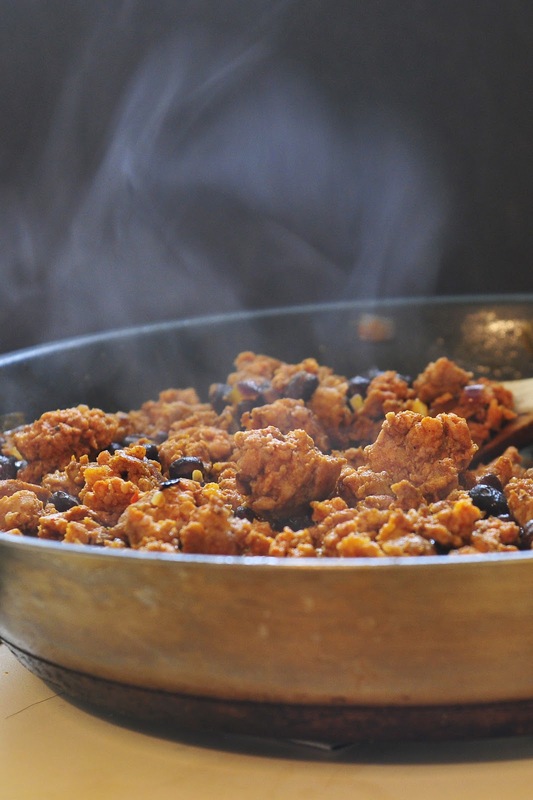 Last year was the year I discovered Chorizo and we have been eating it ever since in a variety of prepared ways. I had the clever idea of incorporating it into a nacho blend when I was struggling to find a quick meal for dinner. I had purchased the chorizo to use in another dish but quickly reached for it when my time was hastily escaping me due to an appointment I needed to keep. I find chorizo sausages fry up quickly. I added a can of black beans and a few diced red onions. The meat mixture was done in a matter of minutes. This meat mixture also freezes well. I recommend adding a bit more meat and beans and have the storage containers on hand for you to quickly bundle it up for a later date. 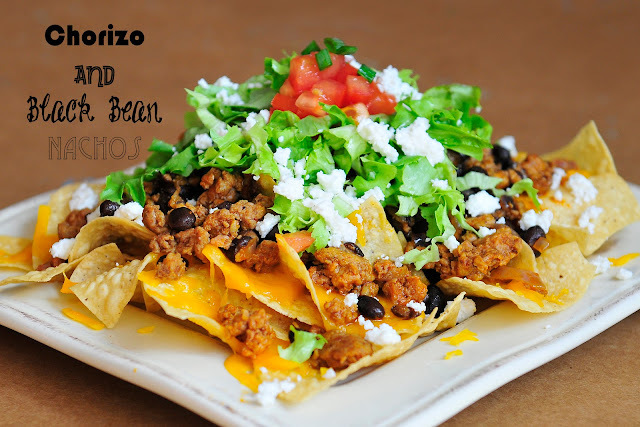 I know that my kids enjoy nacho's after school and this makes an easy snack for them to reach for when they return home. Nacho's can be customized by adding additional ingredients to the mixture. Jalapeno's would be a great addition to simply bring some heat to the dish. 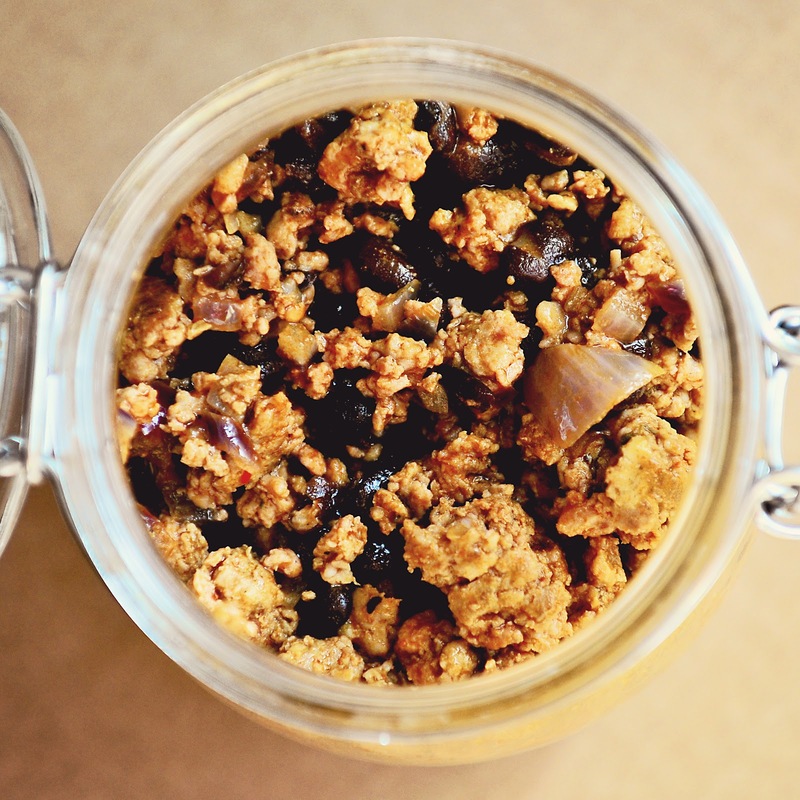 There are a number of combinations to use for the toppings. We enjoy lettuce, tomatoes, green onions, olives and Mexican Cheese that can be crumbled on top. A huge dollup of sour cream usually doesn't go unnoticed either. With the fixings or not, this will remain a family favorite not only for the ease of the dish but also because the spicy bean combination that the black beans and chorizo offer the dish. 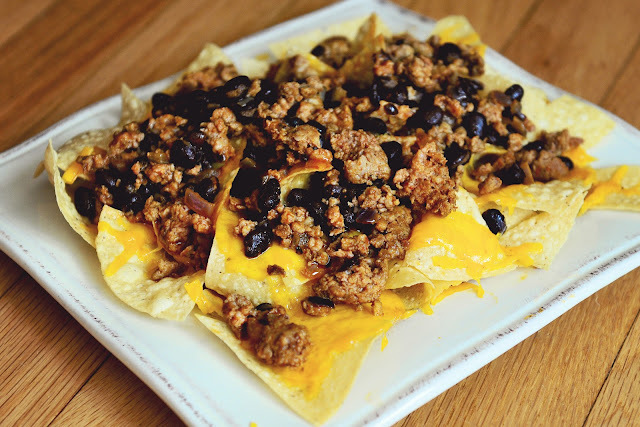 I would love to hear what your favorite types of toppings are when you prepare your nachos. 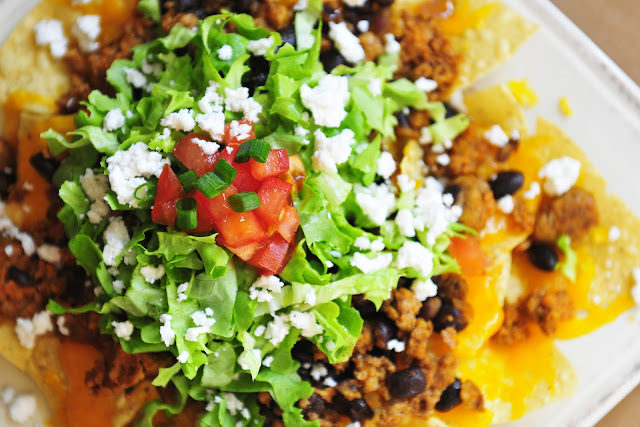 Do you have a secret ingredient that sets your nacho's apart from the rest? This was my plate (see picture below) last week and it disappeared right before my eyes into my hungry belly. Combine the three ingredients together in a fry pan and fry until hot. The sausage adds a lot of flavor simply because it is Chorizo. If you would like to add your own combination of spices, go right ahead. I would suggest garlic and cumin as a place to start. Serve meat over a bed of corn chips with melted cheese . Finish the dish with your favorite toppings. What a yummy dish for a cold winter's day! Beautiful pics too!